Join the Berkeley Chess School’s grandmaster-in-residence — 2018 U.S. champion Sam Shankland — for one intensive week of training June 25-29. For less than $20 per hour, adults and children rated higher than 1800 USCF will learn from the American grandmaster who served on Magnus Carlsen’s team during the 2014 and 2016 world championship matches. 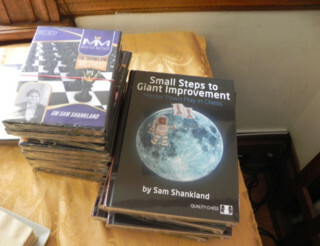 A gold medal winner at the 2014 and 2016 chess olympiad, Shankland is a top-flight teacher and communicator — he created 32-hour video course The Shankland Method, and authored Small Steps to Giant Improvement and Master Pawn Play in Chess. Rated 2717, the no. 27 player in the world is a Berkeley Chess School alumnus.